Dang Bud, the Rip Saw is a Mountain Slayer! 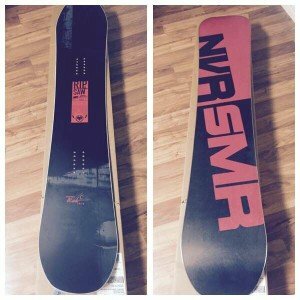 The fellas over at Never Summer were kind enough to hook me up with a 2015/2016 Ripsaw 160X. I demoed a 2015 a few weeks back but they’ve done numerous improvements for 2016. The 2016 model has a new side taper, making it much thinner than the 2015 model. This lightened up the board some, and makes it softer in the tips, but most importantly gives it a consistent, linear flex. I could bore you with technical specs, but you can go to Never Summer and read up on it. I took the Ripsaw up to Grand Targhee Resort for some spring turns. I really liked the 2015 Ripsaw, so I wasn’t sure what to think of the changes. I was pleasantly surprised the board was more agile and super powerful. High-speed turns on this board are a thing of beauty, with just amazing control. It’s a true twin, so even riding switch was an absolute blast. The Ripsaw wants to go fast, and is unbelievably stable laying into carves. Everyone on the mountain probably thought I was nuts because I had the biggest grin on my face after each run. 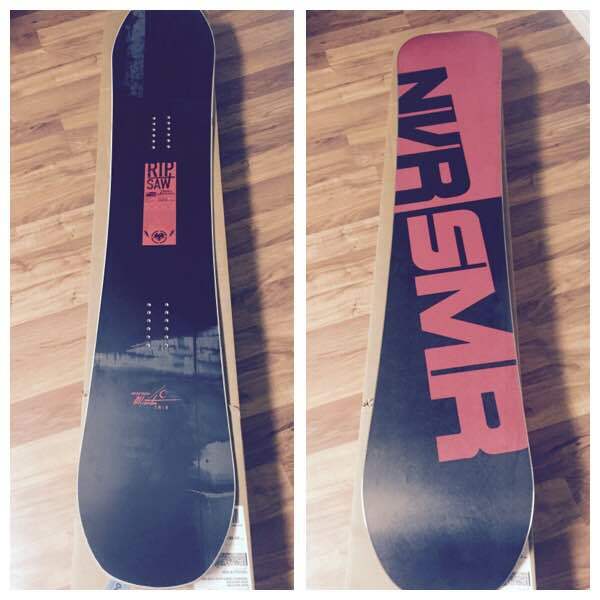 This is definitely not a beginner board; NS does make boards that are far less aggressive. Do yourself a favor and pick up a Ripsaw…if you’re not convinced, Never Summer holds demos all around the country. They’ll let you take one out for an hour, but trust me, you won’t want to give it back!